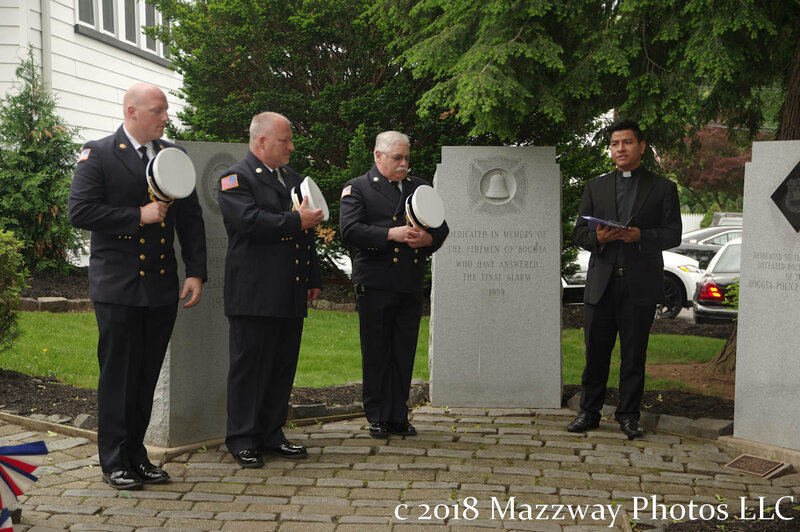 Memorial Day 2018 in Bogota started with the annual inspection of the members and equipment of the Bogota Volunteer Fire Dept. and the Bogota Volunteer Rescue Squad. 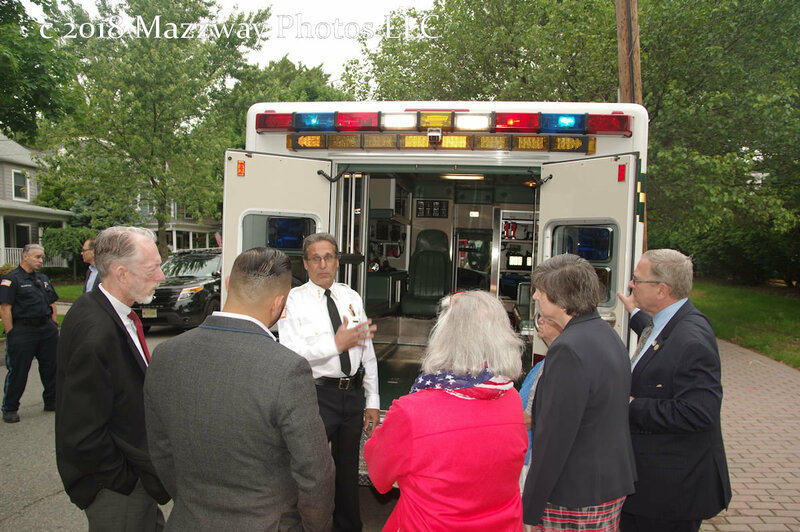 Bogota Mayor Chris Kelemen and members of Borough Council were given tours of the emergency equipment. 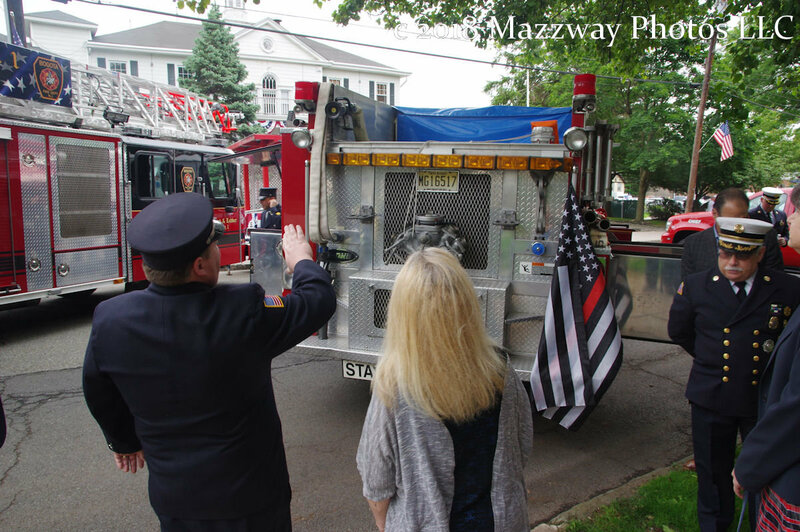 Vehicles of all four Fire Companies and the Bogota Rescue Squad where parked on Larch Ave in Front of Borough Hall. 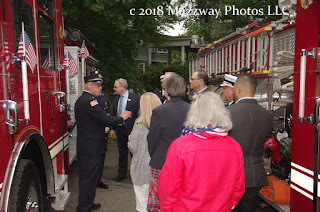 The Captains from each Fire Company showed the elected officials about how the vehicles operated, and how the equipment on each of the vehicles work. 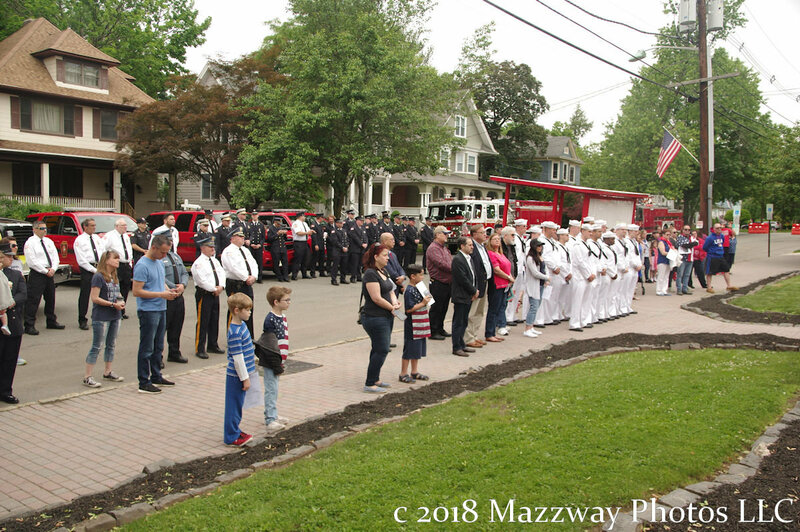 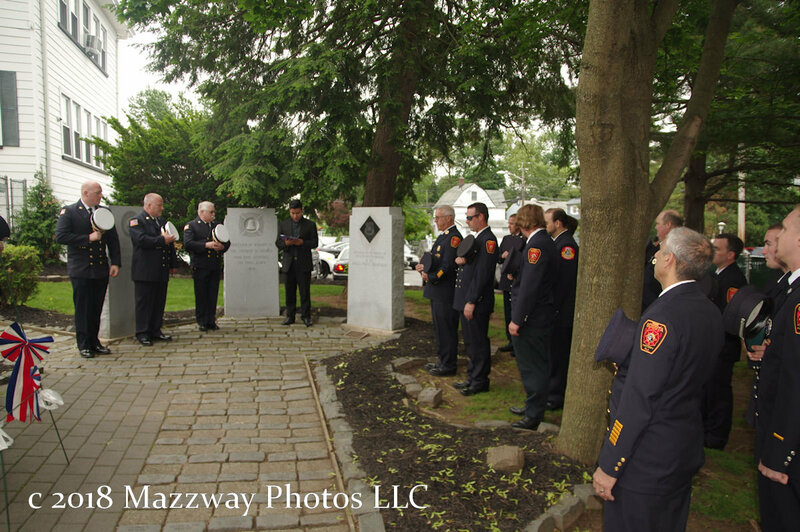 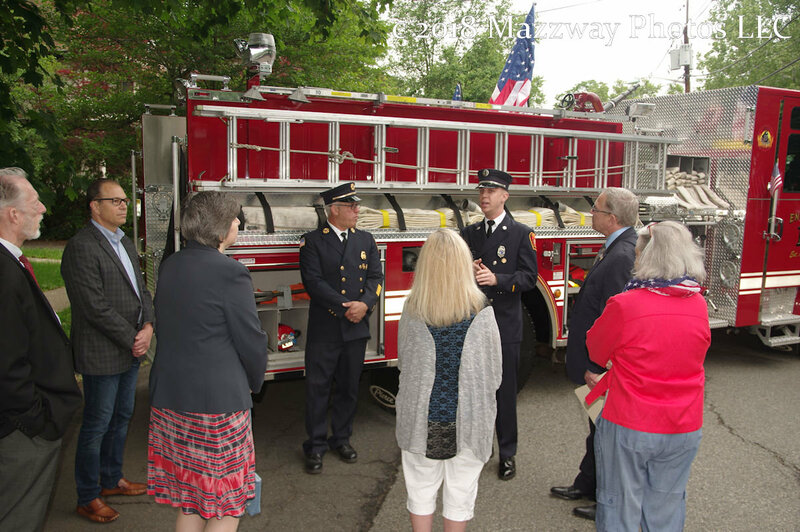 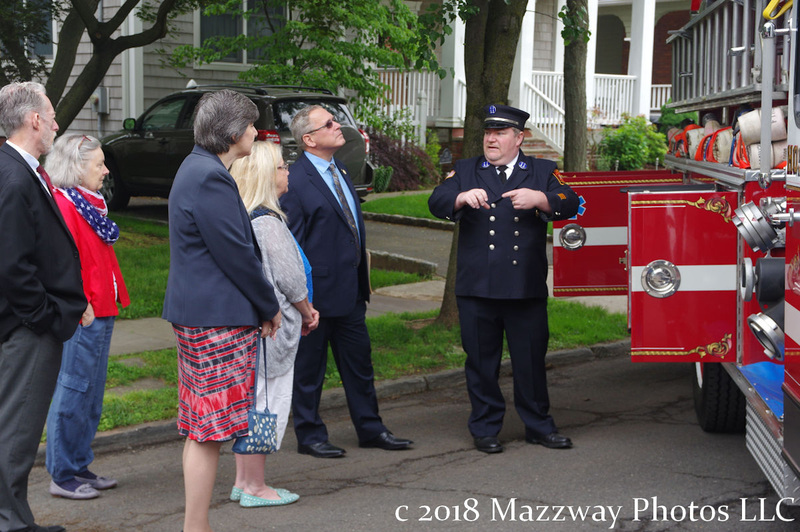 This was the time for the members of council to learn what equipment may need replacing, how the firefighters use the equipment and what can be done to aid the fire department in keeping the Borough safe. 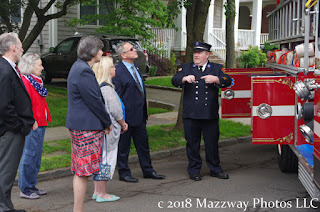 The same procedure took place with the rescue squad. At the end of the inspection the members of the Bogota Volunteer Fire Dept gather near the Firefighters Memorial to remember the follow members who can now " No longer answer the bell"
Then at 11:00a the Bogota VFW Post #5561 and the Bogota American Legion Post #117 held their joint Memorial Day Remembrance Service. 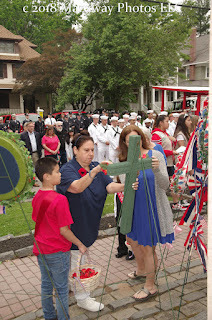 This year the guests included Sailors from the USS Mitscher a Arleigh-Burke class destroyer. The USS Mitscher, based in Norfolk Virginia visiting the New York area as part of the Fleet Week event. The Sailors joined the citizen of Bogota in remembering those service Women and Men who paid the ultimate price for the United States. 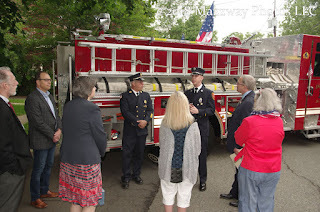 Also in attendance were members of the Bogota Volunteer Fire Dept. and the Bogota Volunteer Rescue Squad and the Bogota Police Dept. 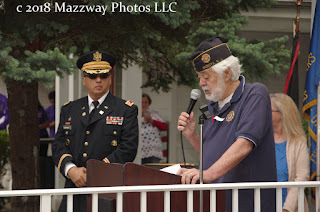 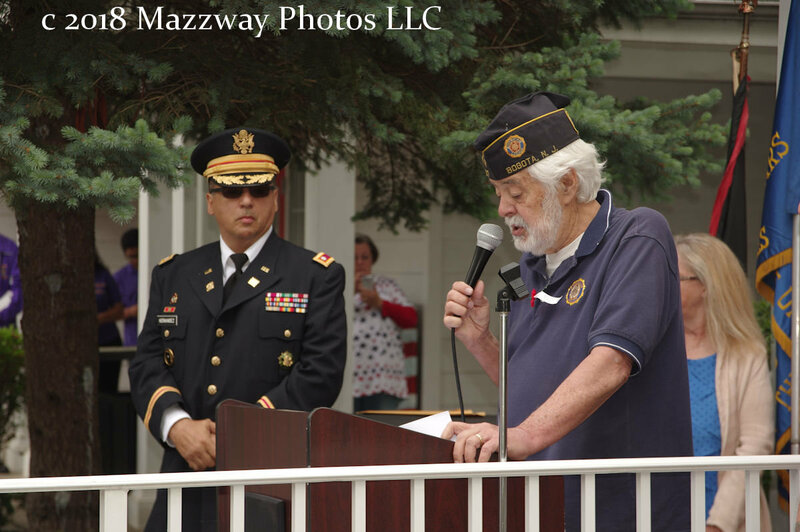 To start the ceremony VFW member Al Hermann led the crowd in the Pledge of Allegiance. 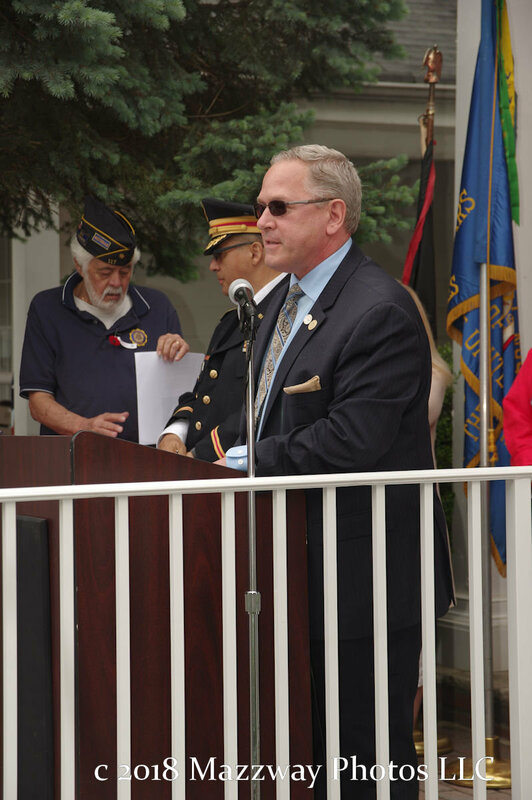 And the opening invocation came from Deacon Kevin Regan if St. Joseph's Church. 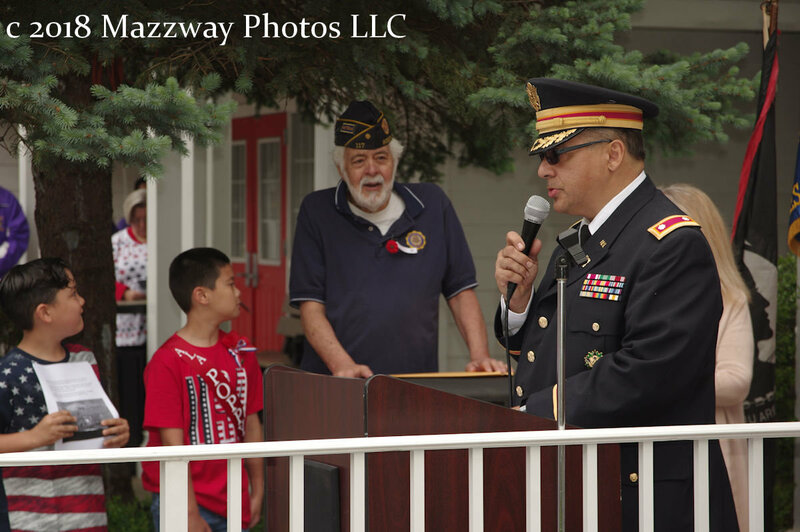 Next came speeches by American Legion Commander Walter Croft followed by VFW Commander Alex Hernandez. 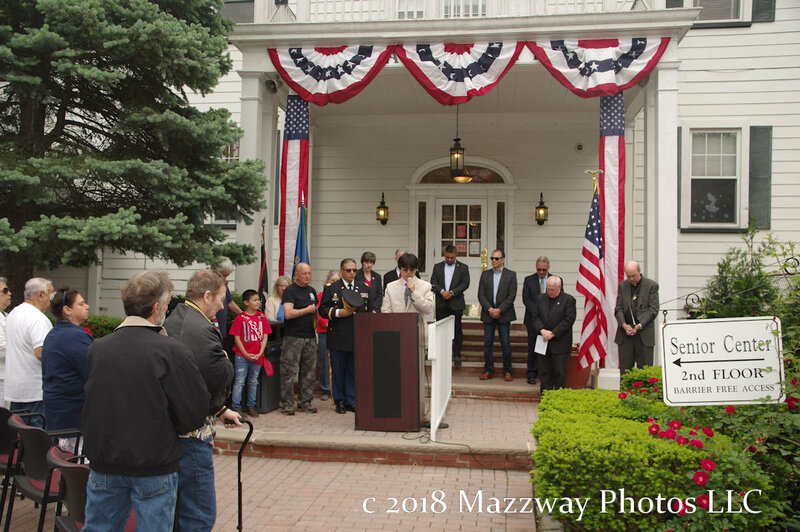 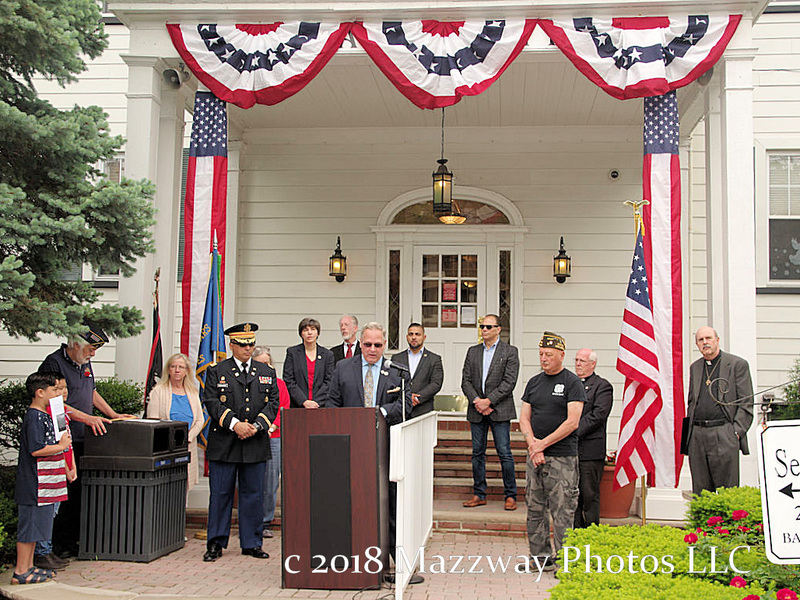 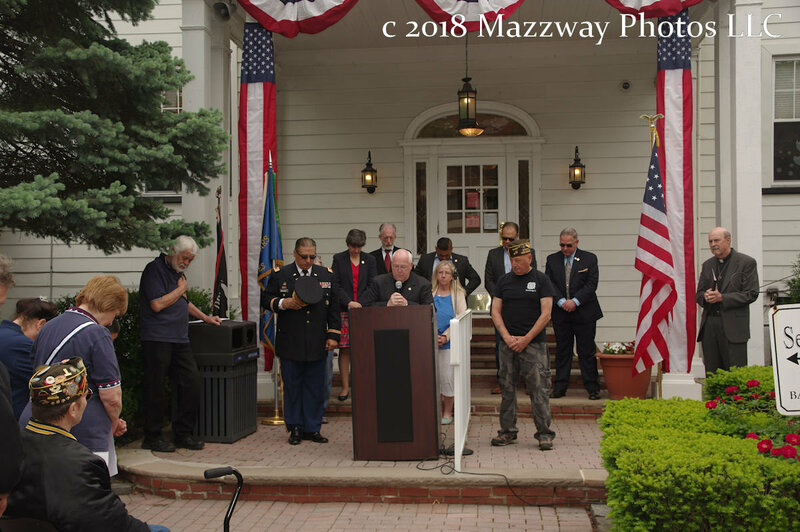 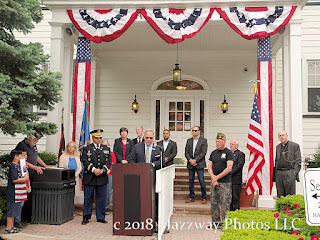 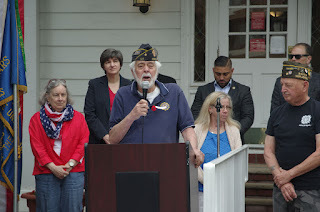 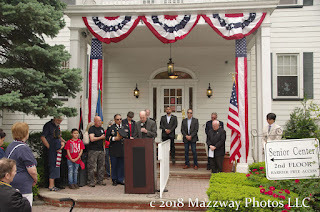 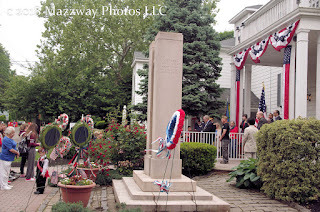 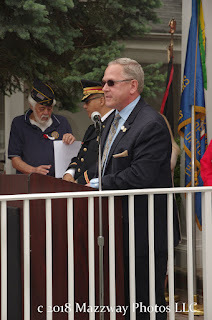 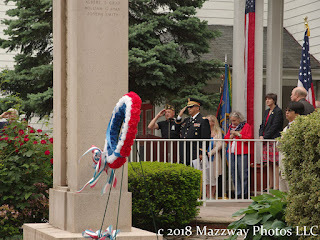 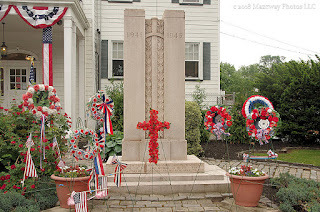 The next to speak was Bogota Mayor Chris Kelemen who welcomed all who took the time on a Monday Morning to remember not only those from Bogota who have lost their lives on duty, the all members of the US Armed Forces who gave their lives for the nation. 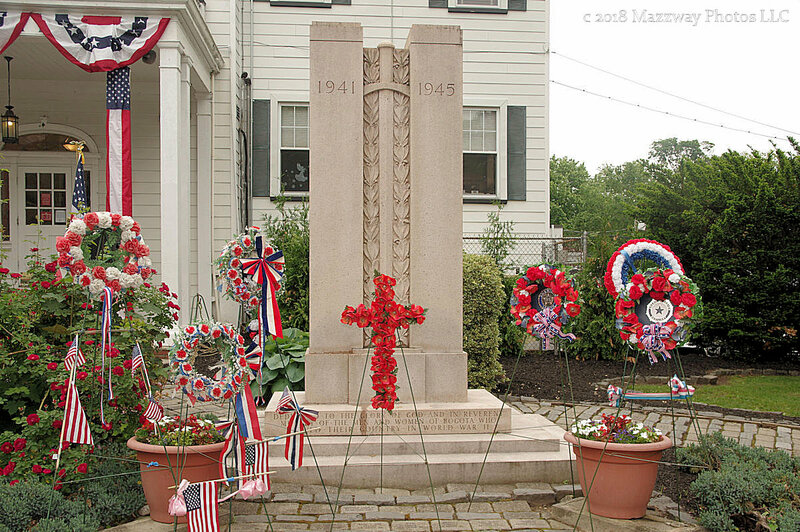 Then, the names of service personal who are now "absent" was read out loud a poppy was place on a cross in front of the War Memorial in Borough Hall park. 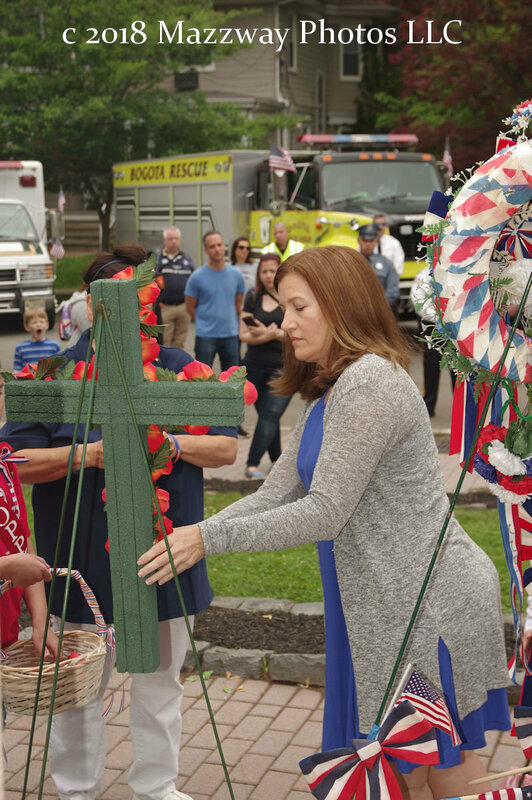 After the last flower was placed members of the Bogota High School Band played TAPS for the fallen Americans. 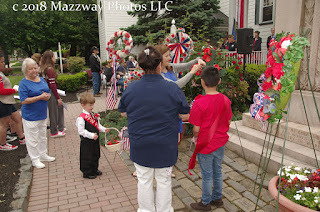 Next a wreath was place near the Memorial to those service personal who are Prisoners of War, or Missing In Action. This was accompanied by a lone Bag Piper playing 'Amazing Grace"
The ceremony ended with Pastor Imos Wu of Bogart Memorial Church, then by Pastor Peter Olsen of Trinity Luther Church.